You are currently browsing the category archive for the ‘Faith & Religion’ category. It’s a sad, sad day here on earth. Nelson Mandela’s passing has caused an outpouring of emotion. As South Africa and the world mourn their beloved Madiba, the angels in heaven are rejoicing. Mandela we thank you for having the courage that so few ever could. We thank you for your selflessness. We thank you for your fight to ascertain peace between blacks and whites. We thank you for your fight to unite humanity. We thank you for your quest to end poverty. We thank you for your determination and perseverance. We thank you for your passion that burned within. We thank you simply for being you. Madiba, you have left a footprint on the hearts of many the world over. May your voice echo in our ears for a lifetime and may your spirit forever be with us. You may be gone from this world, but you will never be forgotten. May the ancestors greet you with open arms Madiba. Rest now, forever in eternal peace. a very happy & blessed holiday season. may your homes be filled with peace & love. on things which matter most. Hanukkah, also referred to as the “Jewish Festival of Lights” is an eight-day celebration in recognition of religious & cultural freedoms. In the Hebrew language, the word “hanukkah” translates to “dedication”. As Hanukkah is observed each year, it is a rededication of The Holy Temple in Jerusalem. The Story of Hanukkah dates back to 2nd century BCE, more than a century following the reign of Alexander The Great. Antiochus IV, a successor to Alexander oppressed and massacred the Jews. He placed a Hellenistic priest in the Jewish Temple, and prohibited the practice of Judaism. The Temple was desecrated, with the introduction of the sacrifice of pigs – non-kosher animals at the altar. It was not long before a revolution began against the assimilation of the Hellenistic Jews and oppression by the Seleucid Greek Government; led by Mattathias the Hasmonean and his son Judah Maccabee, along with the religious group the Chasidim. Mattathias the Hasmonean, his son Judah Maccabee, and the Chasidims succeeded in their revolution, making way for the rededication of the Jewish Temple. During the rededication, it was discovered there was only enough oil to light the menorah for one day. The remaining oil had been defiled and could not be used. The Menorah was lit, and to everyone’s astonishment, the menorah miraculously burned for eight days, which was the exact number of days needed to replenish the oil. This event was deemed a miracle, and an eight-day festival to commemorate the oil was born. Today, during the eight-day festival, each night a new candle from the menorah (candelabrum) is lit until all eight are glowing. On the first day, recitals of three Berakhot blessings are conducted before the Shammus (servant) candle and first Hanukkah candle is lit. On the second and subsequent nights only two Berakhot blessings are recited. Hanukkah, the Jewish Festival of Lights continues to be widely observed and in the Jewish community. It is a reminder of the trials and tribulations their ancestors had to be overcome to have the religious and cultural freedoms they celebrate today. Happy Hanukkah to you and yours! Diwali is a 5 day celebration, observed in the Hindu, Jain, and Sikh community. Respectively known as the Festival of Lights; Diwali signifies the triumph of good over evil; or in retrospect, the awareness of ones inner light. During Diwali celebrations, family members come together and perform traditional activities as one; small clay lamps and fireworks are lit; new garments are worn amongst the celebrants; and an abundance of sweets & snacks are shared amongst family and friends. Diwali, has a rich, vibrant heritage, and undoubtedly promotes community pride and unification; not just in the Hindu, Jain, and Sikh community, but across all communities as a whole. Let your inner light shine through! Happy Diwali to you & yours!!! Good Friday as we know it should also be referred to as black Friday. In Acts 2:20 Peter recites “The sun shall be turned into darkness, and the moon into blood”. This was foreshadowing of things to come. Good Friday is indeed a dark day. It is the day we lost our saviour due to our own negligence and inability to believe and trust in his words. Remember to give thanks and to count your many blessings over this Easter Weekend! 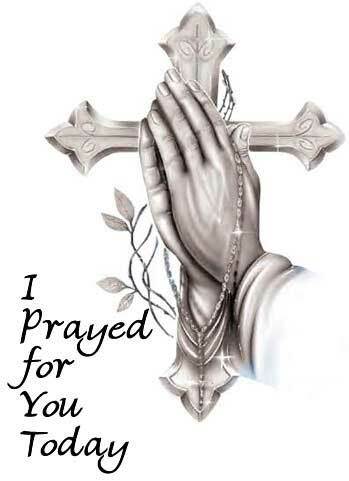 May God be with you! Today marks Ash Wednesday, the first day of Lent. 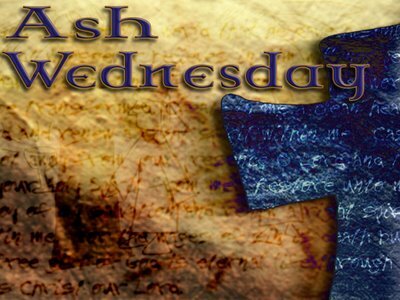 Ash Wednesday is a “moveable” feast, as it is dependent of the date of Easter. It occurs 40 days prior to Easter (not counting Sunday’s which are recognized as mini-Easters). This 40 day period is a representation of the time Jesus spent in the desert before his public ministry. During this time many “give up” something. Ash Wednesday is a day of repentance. It is a period marked by fasting from foods, festivities, and other acts of penance. There are three traditional practices followed during Lent: 1. Prayer (justice towards God), 2. Fasting (justice towards self), 3. Almsgiving (justice towards neighbours). What will you give up for Lent?